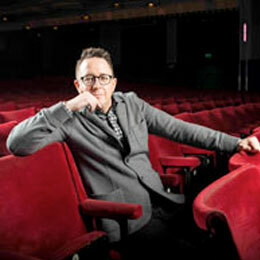 Michael McCabe is a four-time Olivier Award-winning theatre producer in the UK and Tony Award nominated on Broadway. He is currently represented by Wicked at London’s Apollo Victoria Theatre as well as by its record-breaking UK/International Tour, and by the new musical An American In Paris (Dominion Theatre). His previous producing credits include: Spring Awakening, Million Dollar Quartet; Sweeney Todd and, on Broadway, How To Succeed In Business Without Really Trying and Promises, Promises. In a career spanning more than 30 years, Michael is also renowned as one of the theatre industries most highly regarded marketing practitioners and was the original Marketing Director of Mamma Mia! (overseeing the first 14 international premieres) and is the co-founder of the marketing company Joe Public Limited. He is Trustee of English Touring Theatre, listed in Who’s Who and by Debrett’s (being named one of their ‘People of Today’ in 2010), and is a member of the Broadway League and the Society of London Theatre.